Sub facial fullness affects many adults, both men and women, and is influenced by factors such as aging, genetics, and weight gain. According to a 2015 survey, 67% of people said they’re bothered by under-the-chin fullness, or double chin and as bothered by it as they are by lines and wrinkles around and under their eyes. Double chin is often resistant to diet and exercise alone. In the past, treatment for double chin required surgery. But in 2015, the FDA approved a new drug that aids in the breakdown and absorption of fat. The drug known as Kybella® XC is available at Plastic + Hand. How does Kybella® XC work? 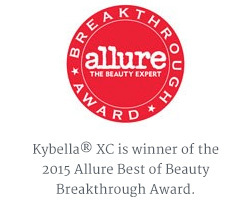 The active ingredient in Kybella® XC is synthetic deoxycholoic acid. Deoxycholoic acid is a naturally occurring molecule in the body that aids in the breakdown and absorption of dietary fat. When injected into the fat beneath the chin, Kybella® XC destroys fat cells, resulting in a noticeable reduction in fullness under the chin. Once fat cells are destroyed, they can no longer store accumulated fat. At each treatment, you will receive multiple small injections under your chin. The injection process takes about 15 to 20 minutes. The exact number of injections will depend on the amount of fat you have under your chin and your desired profile. You and your Plastic + Hand surgeon will customize your Kybella® XC treatment plan, including how many treatments you need based on your desired chin profile. After treatment, you likely will have some swelling, bruising, or numbness under your chin. How long does Kybella® XC last? Once your aesthetic result is achieved, it is expected to last indefinitely. Each and every patient is unique. It’s important to us that we listen to our patients from the outset, so a consultation is the first step in determining whether Kybella® XC is appropriate for you. Consultation and Kybella® XC injections can take place during the same appointment. When your consult and injections take place on the same day, the consult fee of $50 is waived.